“Let’s Reboot” takes a look back at a classic in need of a new outing or a beloved series gone stale and asks how it might be best redesigned or given a kick up the backside for today’s gaming audience. The Rules: Assume a free hand, and a decent budget, but realistic technology and expectations. 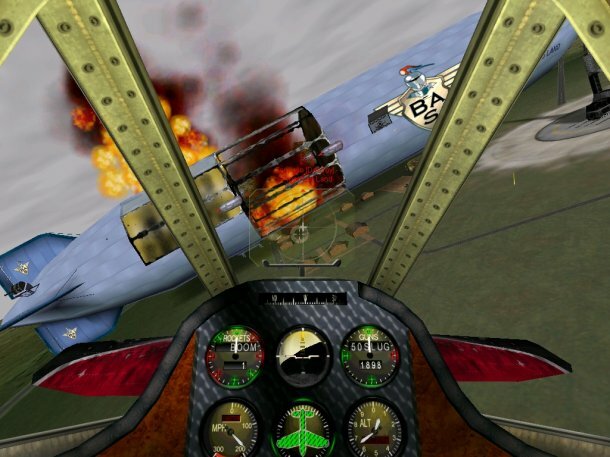 This week’s sacred cow – an air combat game with a heart as big as a zeppelin”. See this permanently crinkled forehead, these prematurely silver locks, and this twitchy eyebrow? This is how a person looks when he’s spent the last twelve years waiting for a PC sequel to the best light flight game ever made. A chap can do a lot of sighing and head shaking in four and half thousand days. Happily, he can do plenty of pipe-dreaming too. Move those spanners and coffee cups to one side; it’s time to unfurl the heavily annotated PC Gamer blueprint for Crimson Skies 2! You look worried. Don’t be. 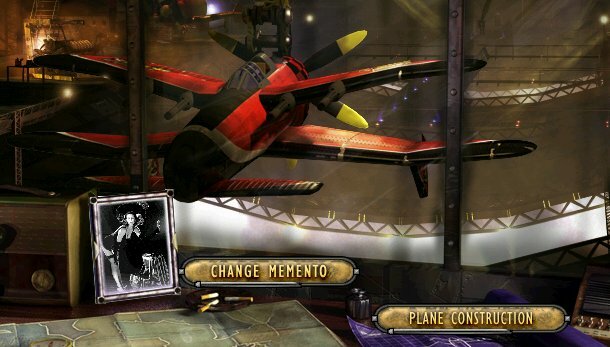 We’re determined to retain all the stuff that made Crimson Skies Crimson Skies. The player is still a dashing sky pirate, dogfighting dastardly aces and hunting humongous airships in a twisted pre-WW2 world. By drawing directly from the inspirational wellspring – American pulp literature of the 1920s, 30s, and 40s – we’re actually hoping the son will be more colourful than the father. HAWX, Jane’s Advanced Strike Fighters, Damage Inc… today’s frothy flight fare often seems to mistake freneticism for intensity, and physics for frustration. Rest assured, in CS2 you’ll never be asked to down fifty bandits in a single sortie. You’ll never attempt an Immelmann without a flicker of “Have I got enough speed to make this?’ doubt. Because garish HUDs and fussy screen furniture pollute painstakingly crafted period flavour, those that want to fly from a first-person perspective (strongly recommended) will have to rely on panel-mounted instruments and rich audio for mechanical information, and put up with moments when targets disappear behind canopy struts, cockpit rims, and oil smears. Post-release, anyone that goes on the official forum and complains about the lack of a lead-calculating gunnery reticule, bullet-time button, or spin recovery cheat, will be hunted down and hurled into the contra-rotating props of a Hawker Harridan (one of the new Brit planes). Enough of the similarities. Respecting Zipper Interactive’s vision doesn’t mean replicating it. One of our boldest plans is the ditching of linear mission structure. 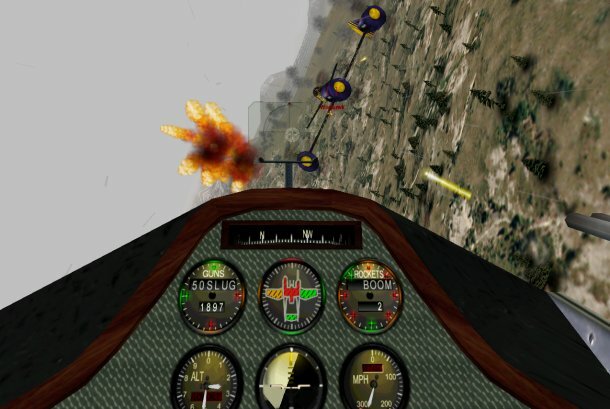 Drawing inspiration from both Air Power (An obscure yet brilliant fantasy flight sim from MiG Alley master-craftsmen Rowan Software) and the Silent Hunter sub sim series, the follow-up will feature a gloriously replayable go-where-you-like, hunt-what-you-like campaign. Creating a decent seamless North American scenery for use in this mode probably isn’t practical (there’s just too much topography to model well) hence the decision to move the sky savagery several hundred miles to the south. The Pandora’s ravishing new playground will stretch from Miami to Caracas, from the Mosquito Coast to Barbados. Why are Nathan Zachary and the Fortune Hunters now fortune hunting over the Caribbean rather than the North American mainland? Simple. Self-preservation. Since the events immortalised in the original game, the air militias of the disUnited States have grown considerably stronger. Outside of the typhoon season most sensible skywaymen now make their living bushwhacking the freighters and yachts that ply Caribbean air and sea routes. 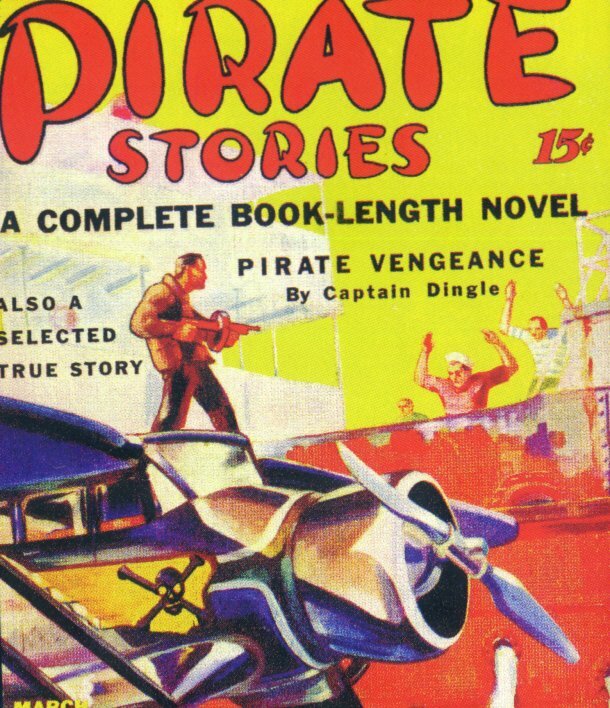 Piracy has returned to its spiritual home. 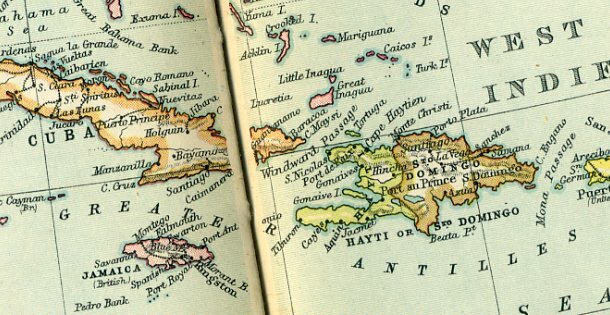 With a bitter civil war raging in Haiti, a huge volcano threatening to blow its top in Martinique, and the recent opening of the Nicaragua Canal , it’s a particularly interesting time to be operating in this neck-of-woods. As the Pandora ambles around the strat map, sentient skippers are sure to find themselves getting entangled in intriguing subplots. The Voodoo Vultures, a local pirate outfit, will be a constant threat. The temptation to take sides in the simmering hostilities between British, French, and Spanish colonial powers, increasingly hard to resist. Every dynamically generated ship (air or sea) you hijack will damage your relationship with one or other of the local factions, so, before you rake the bridge or put a torpedo across the bow of that fleeing freighter, it’s definitely worth training your spyglass on the rag fluttering above its taffrail. You know how pressing Ctrl+E in most flight sims triggers a bale-out animation and effectively ends your mission? In CS2 things will work a little differently. 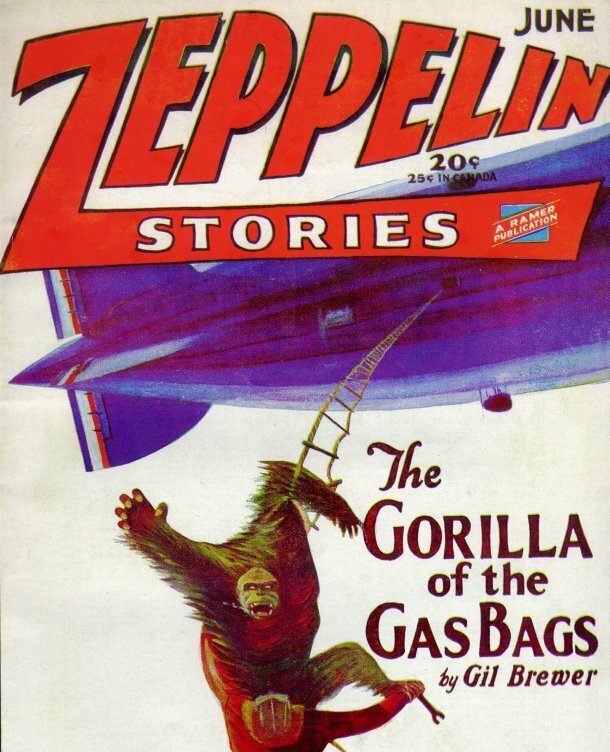 Because the heroes of pulp air stories like ‘The Gorilla of the Gas Bags’ and ‘Satan Paints the Sky’ spend almost as much time out of cockpits as in them, and arsing around in a Just Cause-fashion is endlessly entertaining, the sequel will permit encourage extra-vehicular activity. Port engine blazing on your Balmoral bomber? Activate the autopilot then get out there on the wing with an extinguisher! Need to capture an intact Curtiss Storm Petrel (one of the new American seaplanes)? Tell your co-pilot to get in close, then make the leap! 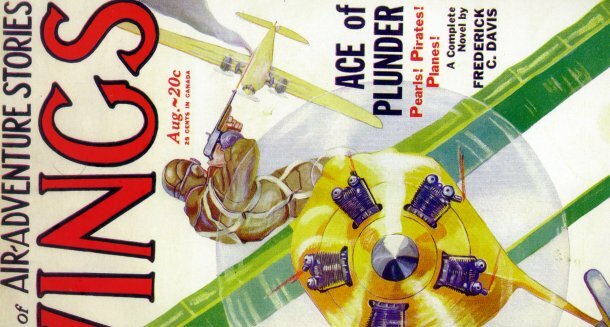 The highlight of the planeless high jinx is bound to be the airship assaults. Warbirds like the STOL-specialising Dewoitine Djinn (a French débutante) can be landed right on top of the game’s colossal motherships, allowing aviators to disembark, and gunplay their way down to lavishly decorated passenger gondolas, or rum-scented freight holds. Not for the faint-hearted, boarding isn’t a tactic exclusive to players. 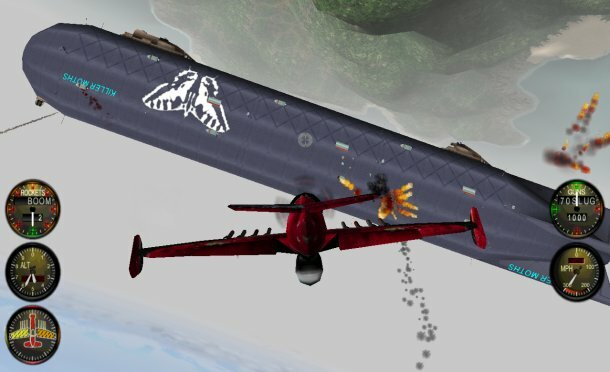 Anyone that neglects defences (booty receipts can be spent on replacement pilots, repairs, supplies or upgrades) and ventures too deep into the home territory of a rival gang, can expect to find themselves desperately defending their own bridge on occasion. Would it be giving too much away to mention that stealthy nocturnal skyjackings are a Vulture speciality? First-person freedom means you’re free to take the wheel of the Pandora, or man one of her turrets during an attack. It also means you can – theoretically – explore every nook and cranny of spectacular new dirigibles like the Fanny Adams (a vast British sugar transport) and the Bacchanalia, a luxury sky catamaran owned by millionaire distiller Ramón Prío. While a few of CS2’s characters, will be familiar to lore lovers, a good portion won’t. Byron ‘Samedi’ Samson (superbly voiced by Don Warrington) the unforgettable leader of the Vultures, should provide some classic comms chatter, as should Aida ‘Dusty’ Fields (Lucy Lawless) the crop sprayer turned desperado that heads the unspeakably brutal Shrikes. There’ll be freshness amongst the flyables and weaponry too. Conventional torpedoes are set to appear in the series for the first time, as is a fiendish form of the parachute mine and an ingenious precursor to the Luftwaffe’s Schräge Musik . I’ve been mentally flying the fleet of new interceptors for a few years now and, if I had to pick a favourite, would probably plump for the Machete Mk II, a converted Spanish sesquiplane favoured by the Vultures.